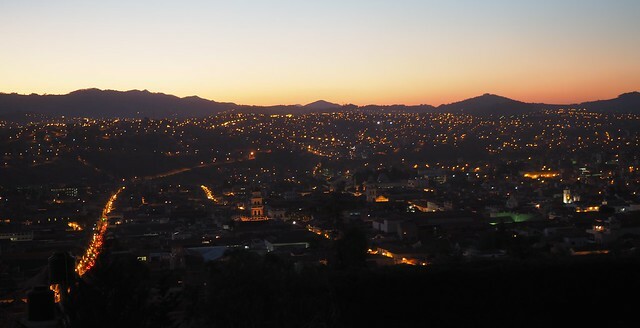 The flight from Santa Cruz to Sucre is only about 30 minutes, but the difference between the two cities is vast. 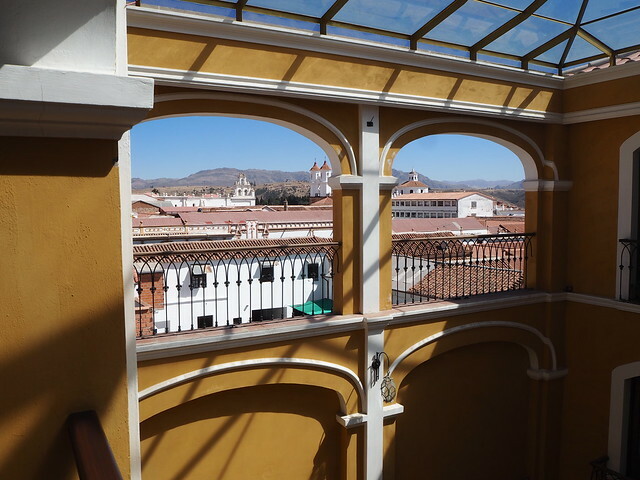 Sucre is the judicial capital (home of the supreme court of Bolivia) and on my birthday, May 25, 1809, the first call for independence from Spain was declared here. Ironically, Bolivia was the last South American country to be liberated from Spain after 14 years of war in 1825. Most likely that Bolivar was a Venezuelan and started there. I need to re-read the history of Bolivia and to read the latest biography of Simon Bolivar. The city is named after Simon Bolivar’s right hand man, Antonio Sucre. It is cool to think that Bolivar was here The historical center of the city is a UNESCO world heritage site and is known as the “white city” or “cultural city” by the Bolivians. They kept the Spanish Andalusian colonial style with most of the buildings being white. Nadia and I have fond memories of walking up to La Recoleta Church when we visited in 1998. 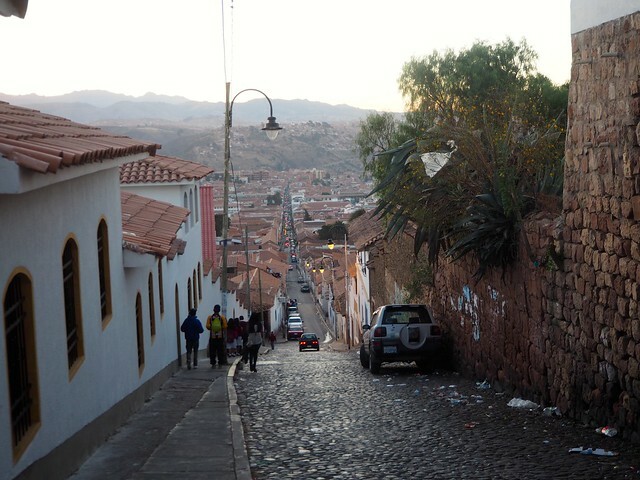 As with most of Andean Bolivia, the city is at altitude, over 9,200 feet (2,800 meters). If Denver, Colorado USA is the “mile high city”, then Sucre should be the “two-mile city”. It is so bright, with blue skies and it reminds me of a Mediterranean look, but drier and higher. It is a small city, with a population between 250,000 – 300,000 people and has a small town feel. Lots of European backpackers coming through the city, as this must be on the South American circuit. Altitude gives me a headache the first day and today I had a slight one. We are also a bit sluggish and it was a slog up the hill to spend the late afternoon at La Recoleta Church. There is a nice cafe there and some good views of the city. Nadia and Ale enjoyed the shopping in the markets and bought some beautiful rugs/textiles. The prices are so cheap here in Sucre. I am glad to show the children the Andes and they can learn about dealing with altitude. 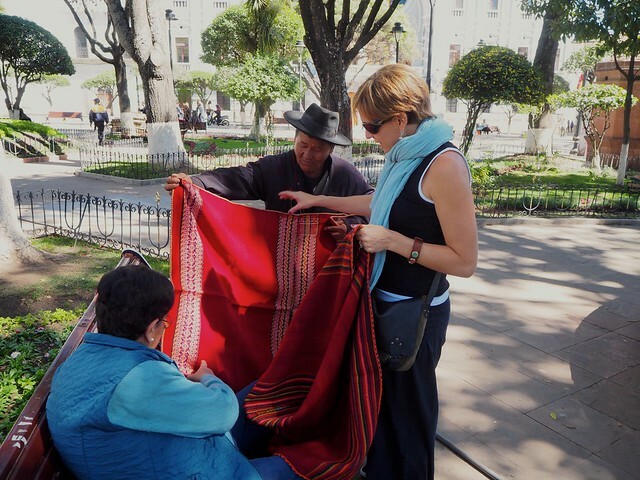 Nadia shopping for textiles in the central plaza of Sucre. I wonder how these mountains looked like before the Spanish arrived, or maybe for that matter, before the Incans came. I guess there were probably more trees and vegetation which helped for a wetter climate. Sucre is at 19 degrees south latitude and most of the deserts and arid areas are found around 30 degrees latitude like the Atacama, Sahara, etc. Sucre is being touted as a place for globally mobile foreigners to settle and live or for a place to retire. The cost of living is incredibly low (contrasts with the drug-boom bubble economy of Santa Cruz), there is nice sunny, dry, cool weather, and the third piece, which I question, is it is a culturally rich place with lots to do, both intellectually and outdoors. We will be here for a few days so I will be weighing in on this topic. 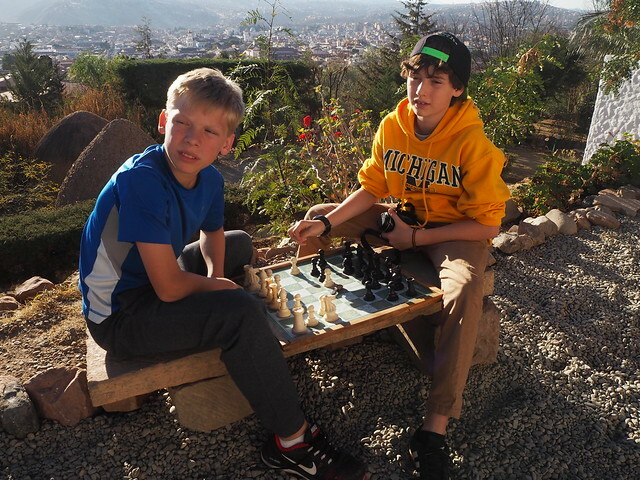 Owen and Sebey playing chess above Sucre. I finished the night playing cachos with my nephew, Oliver and Ocean in the hotel bar. I tried a local drink called a chuflay which is made of the Bolivian spirit singani, which is a type of brandy distilled from wine, and ginger ale on the rocks. It was OK, but nothing special. I preferred the kids’ chocolate submarines, hot milk poured over a bar of chocolate. We laughed a lot and it was a great way to end our first day in Sucre. 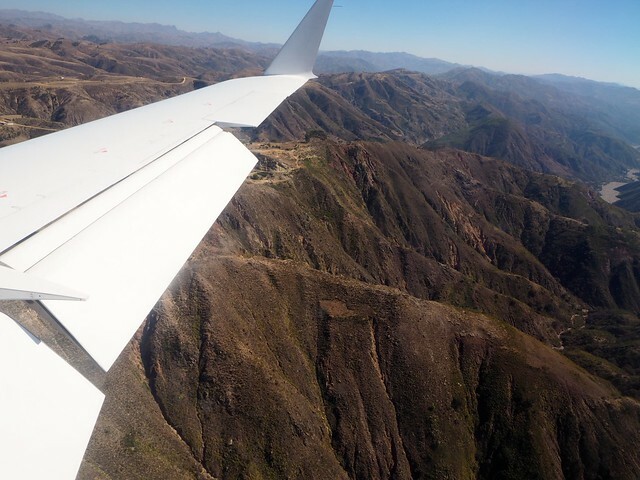 The mountains of Sucre as seen from the plane.